If you're not a food nerd, you can skip this one. But for those of us who are, it's a big slice of amazing. The team from Tested recently toured America's Test Kitchen, creator of what is arguably the best food magazine on Earth, Cook's Illustrated, and what is indisputably the best cookbook on Earth, The Best Recipe. 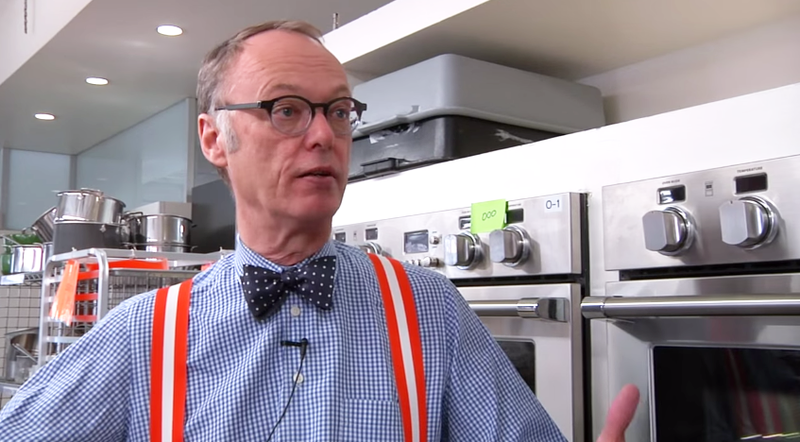 The resulting video tour, led by iconic editor and publisher Christopher Kimball, is packed with interesting insights into how America's Test Kitchen runs its widely beloved multimedia empire, including its ad-free magazine, eponymous public television show and weekly radio show. Check out the video and browse some of the more insightful tidbits below. Founded in 1980 as Cook's magazine, the organization today has 50 test cooks working with 30 ovens in a kitchen area spanning more than 2,500 square feet. "Nobody here ever cooks dinner during the week," Kimball notes. Staffers are welcome to take home the results of any recipes they find enjoyable. Each recipe is tested dozens or even more than 100 times, with a focus on recreating challenges real home cooks might run into, like substitutions or missing ingredients. The secret to a great magazine? "The more stubborn the editors, the better it is," Kimball says. The kitchen's full-time shoppers only buy from "normal grocery stores," Kimball says. "We don't go to fancy grocery stores at all." That is just one piece of the kitchen's focus on catering to any home chef rather than a high-end audience. When Kimball decided to get into book publishing, he started by partnering with "a publisher of record," resulting in a dismal 10,000 copies sold. The organization's first self-published book, The Best Recipe, has now sold more than 1.3 million copies, he said. That DIY mentality has carried over into the kitchen's TV show, radio show, online cooking lessons and other media extensions. "If you do it yourself, you're constantly thinking of doing it better," Kimball says. Hat tip to Digg for sharing this video.